JAGATSINGHPUR – JUNE 05. The state Rural Development minister Bikram Keshori Arukhu on Wednesday laid foundation stone of Rs 8 Crore 40 Lakh project cost Tirtol- Kolar road renovation works, in presence of state health minister Dmodar Rout, Cuttack- Barabati MLA Devasis Samantray , Tirtol legislator Ravi Bhoi, superintendent engineer, Executive engineer RD department including hundreds of ruling BJD party supporters. Speaking on the occasion both ministers lauded state ruling BJD government’s several developmental works and various schemes meant for the downtrodden and poor people of the state and its achievements and chanted success stories of Chief Minister Naveen Patnaik during his 3 terms long tenure. On the flip side the ceremony received flutter among the gathering BJD workers following Tirtol MLA Ravi Bhoi shared dais with Minister Damodar Rout. Interesting to note two years ago minister Damodar Rout had delivered anti Dalit remarks against MLAs Bishnu Das, Ravi Bhoi, MP Bibhu Tarai and the then ADM Jagatsinghpur Upendra Mallick in two different social functions. The incident had created furor across the country later came under judicial scrutiny and in present National ST&SC commission is probing the matter. On turn both the Dalit MLAs and MP had used to boycott Minister Damodar Rout and sharing dais with him in public meeting since then. 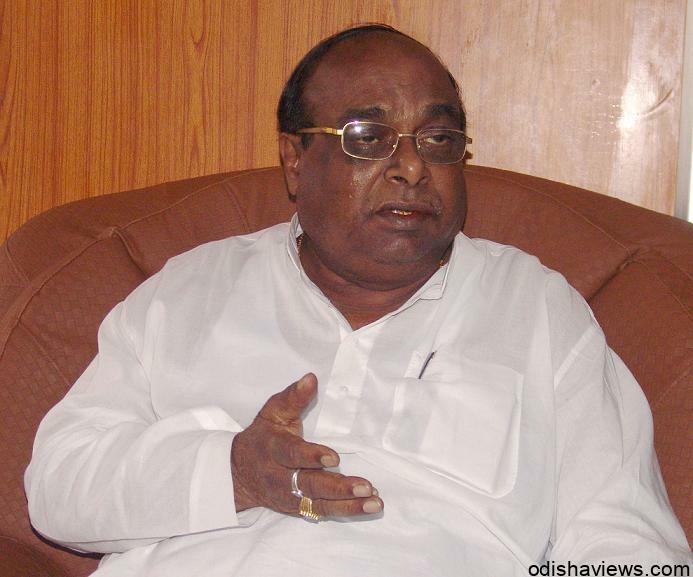 Recently when state chief minister Naveen Patnaik was in his one day trip to Rahama MLAs Bishnu Das and Ravi Bhoi had skipped to attend the meeting as because minster Damodar Rout had accompanied chief minister. But surprisingly for the first time MLA Ravi Bhoi had noticed sharing dais with minister Damodar Rout on Wednesday.